This entry was posted in Blog post on April 24, 2017 by Dynamic Learning Maps Professional Development. Extended descriptions of the Initial and Distal Precursor Linkage Levels for the most frequently address DLM Essential Elements are now available! This entry was posted in Blog post on January 6, 2017 by Dynamic Learning Maps Professional Development. This entry was posted in Blog post on December 15, 2015 by Dynamic Learning Maps Professional Development. 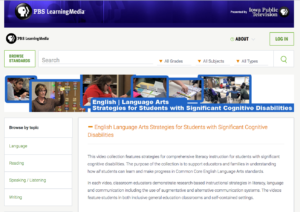 The facilitated versions of the DLM Professional Development Modules provide a perfect solution for Professional Learning Communities (PLCs) that are focused on the needs of learners with significant cognitive disabilities. The modules provide the members of the PLC with focused content and ready-made discussion topics and activities that allow them to apply the information to their own students and make sense of data they may be collecting over time. For more information about using the DLM Professional Development Modules in PLCs, check out this document. This entry was posted in Blog post on September 8, 2015 by Dynamic Learning Maps Professional Development. This entry was posted in Blog post on July 7, 2015 by Dynamic Learning Maps Professional Development. We have updated the professional development site! You’ll now find all of the modules at https://www.dlmpd.com/. Now that the modules are complete, we have organized them based on the DLM Claims and Conceptual Areas. This should help you access modules that address instruction related to the Claims and Conceptual Areas you are addressing at each level. If you haven’t already completed it, you may want to complete the module on Claims and Conceptual Areas to learn more about the way they help to organize the DLM Alternate Assessment System. This document will help you cross reference the modules you have completed using the original numbering system with this new organization. This entry was posted in Blog post on January 30, 2015 by Dynamic Learning Maps Professional Development. Want to Know About Teaching Writing? This entry was posted in Blog post on January 23, 2015 by Dynamic Learning Maps Professional Development. NOTE: This module is especially important if you have students with significant motor impairments. NOTE: In the DLM Assessment System, all students are asked to write information or explanations texts. If you are unsure how to get started, this module will help. NOTE: In the DLM Assessment System, there are conventional writing testlets and emergent writing testlets at every grade level. 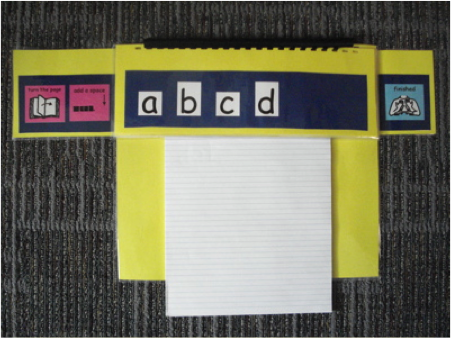 If your students are not yet using letters to spell words to generate texts, they are emergent writers. This entry was posted in Blog post on December 10, 2014 by Dynamic Learning Maps Professional Development. Check out the link to Instructional Resources above to find new resources posted about Alternate Pencils. 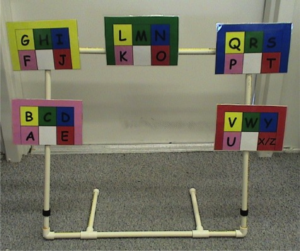 The resources needed to create the color-coded eye-gaze frame and print alphabet flip chart are available for you to download free-of-charge. This entry was posted in Blog post on March 18, 2014 by karene. 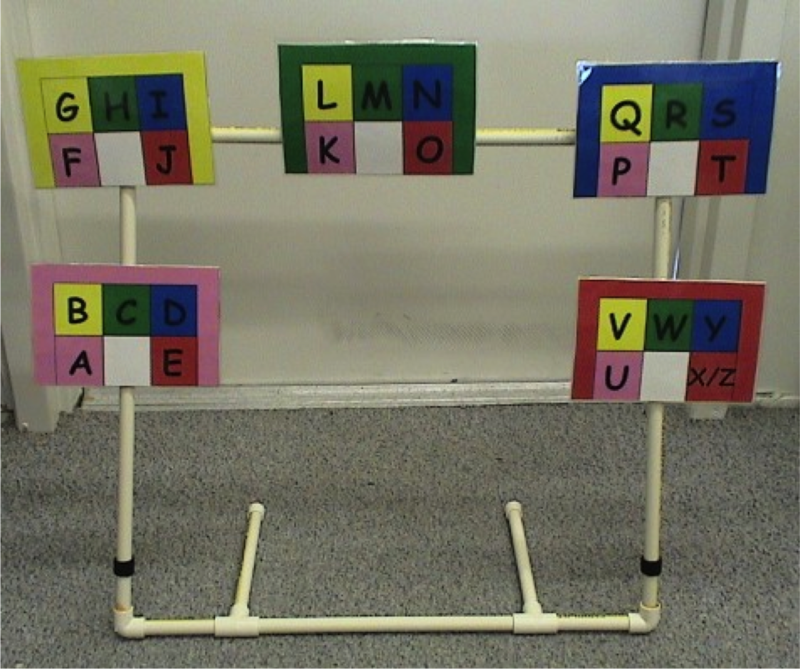 This entry was posted in Blog post on February 8, 2014 by Dynamic Learning Maps Professional Development. Check out this cool video about Tar Heel Reader. It was created by a colleague and friend in Europe, Paul Andres.